CV Sthapatya Veda efficiency units are nearing completion. 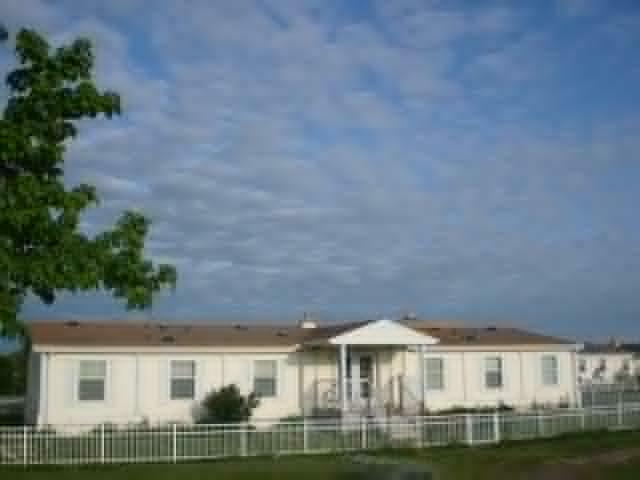 It is a high quality manufactured home that was purchased from MUM. The interior features light bamboo flooring, solid core interior doors, high quality ventilation and lots of natural day lighting. Renewable thermal energy from the earth will heat and cool the building. The thick 6” exterior walls are tightly insulated for sound and energy efficiency. The floor plan includes eight bedrooms, each with an adjoining private bathroom. The bedrooms are large enough for a bed, desk and chair, night table and floor area for asanas. A common lounge area and kitchenette completes the picture. The building is 2,270 square feet with sewer, water, and electric and of course fully follows Maharishi Sthapathya Veda. The building sits on lot #104, one of the best lots in CV Phase II. It is already landscaped with fruit trees, two cherry, two plum, and four apple trees. These will be producing fruit next summer. It is located within easy walking distance of all future community amenities.